Technological Equipment | Q.I.P. Ltd. 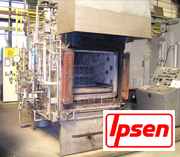 This is carried out in our set of multi-purpose IPSEN chamber furnaces with batch dimensions of 400 x 600 x 900 mm, with a programmable automatic operating mode and control of the atmosphere carbon potential through an oxygen probe. This is suitable for demanding, small and large-scale production. This is carried out in a set of pit furnaces with batch dimensions of O 700 mm x 2000 mm (max. 900 kg/batch) with oil quenching. 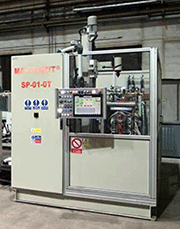 This is particularly suitable for long rotating components, piece and series production. The maximum equipment working dimensions are 600 x 500 x 750 mm. Heating in a non-toxic salt bath (K750). 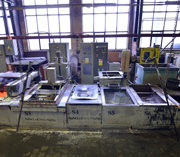 Hardening in an AS 140 salt bath, oil, or water. This is suitable for parts with complex shapes with the risk of deformation upon heat treatment. 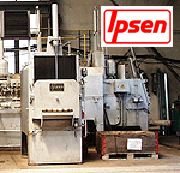 Hardening and treatment with cooling in oil and water, low- and high-temperature tempering, and annealing. The heat treatment is carried out in our set of chamber furnaces (batch dimensions of 600 x 500 x 1000 mm) and bogie hearth furnace (batch size 2000 x 1000 x 550 mm). 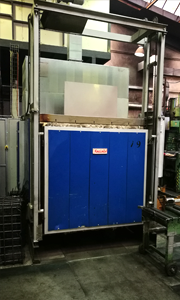 This is carried out in our set of shaft tempering furnaces (batch size of O 700 x 1,000 mm) and low-temperature tempering furnaces for Al-alloy hardening (batch size of 1500 x 1200 x 600 mm). 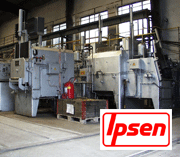 The HF surface hardening of rotating components is carried out through induction heating with water cooling. The hardened layer depth is approx. 0,5-2,0 mm. The hardened part's max. dimensions are O 420 mm with a clamping length of max. 500 mm (the shape, size of parts, and especially the shape and parameters of the hardened surface must be consulted with us before their treatment). We also perform high-frequency hardening of small parts from the hand. MF surface hardening of rotating components is carried out through induction heating with water cooling in our modern CNC equipment. The hardened layer depth is 2,0-8,0 mm. The hardened part's max. dimensions are Ø 200 mm with a clamping length of max. 2100 mm, with a hardened area length of max. 1900 mm (the shape, size of parts, and especially the shape and parameters of the hardened surface must be consulted with us before their treatment). We straighten parts of various types and shapes in both cold and hot conditions. Straightening is carried out in our spindle and hydraulic presses (even hot) or through manual part surface filament tapping. We carry out flame straightening as well. We perform both manual and machine blasting. 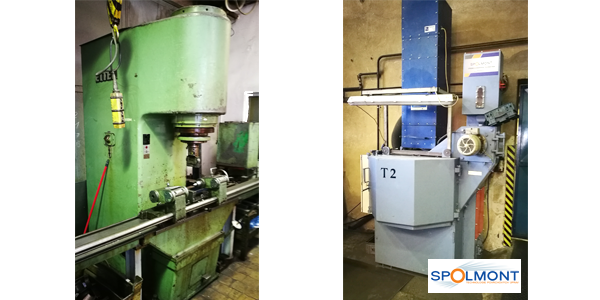 Technological development, analyses and examinations, material analyses, material and technological consulting (metal heat treatment), mechanical tests and defectoscopy in cooperation with the Brno University of Technology - Institute of Materials Science and Engineering. We collect and deliver the customer's goods to be treated, as required. We verify the quality after heat treatment of parts. We use hardness testers designed for all the basic hardness measurement methods, including our mobile hardness meter for the measuring of large and complex shape components. Our instruments are regularly verified.